For over 70 years Neil Kelly has been building a reputation for award-winning design, outstanding craftsmanship, uncommonly good service, and consistently satisfied clients. We are a pioneer in the design/build process in the Northwest and strive to incorporate green design and remodeling elements in all our practices. Residential remodeling is not only my passion, it’s my specialty at Neil Kelly. I’ve poured more than a decade of experience into a wide swath of projects, from kitchens and baths to complex additions. As a six year Neil Kelly veteran, I consider it an honor to help people realize their dreams as they make significant improvements to their homes. Designing your home from the inside out. Its the inside that counts, than the outside will reflect the inside. Designing and building high performing homes. 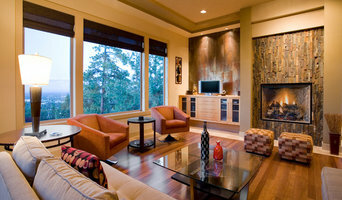 Alway Homes has a long history of building custom homes in the Northwest. First started as Jess Alway INC and now Alway Homes, we have been in business since 1978. 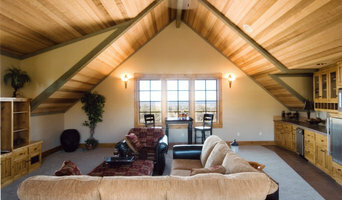 We have built custom homes in the Portland, Salem, and Central Oregon areas. Many of our homes have been featured in annual events including the Street of Dreams in Portland and Tour of Homes in Bend. We work with discerning clients to build functional works of art that are an extension of their personality and interests. No two homes are the same and we want each house to make a statement. This is why every business card says Homes of Distinguished Character. Bettina Rasmussen is a dedicated, experienced kitchen and bath designer, and her passion is to create beautiful, functional spaces custom tailored for each client. Her skill set includes diverse design styles, from traditional to ultra-modern. Bettina also focuses on aging-in-place design, which enables clients with physical challenges to stay in their homes longer. One of her kitchen designs received an award from the National Kitchen and Bath Association. After growing up in Germany, Bettina has been an Oregon resident for 30 years. Neil Kelly is a full-service design-build remodel firm with over 68 years of experience in Oregon and Washington. Currently the largest residential remodeling contractor in the Pacific Northwest, Neil Kelly is a designated B-Corporation and recognized as one of the top 100 companies to work for. We have completed over 30,000 remodeling jobs, and are a second-generation family-owned company. 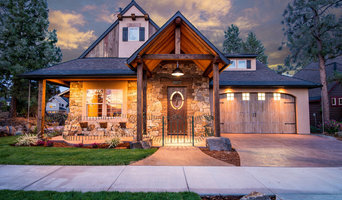 Custom home builder of quality, high performance homes throughout Central Oregon including Bend, Sisters, Redmond, Prineville, Madras, La Pine and points in between. Award-winning BlackRock Construction with its talented craftsmen and subcontractors has a combined knowledge of custom home building that spans decades of experience. Team work is a key element of the fine homes we build. In addition, we offer advice on site decisions, architectural guidelines and reselling potential. RCD is a design-build firm. 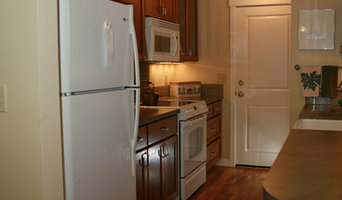 We do residential remodel and new construction projects and specialize in sustainable practices. We have completed a LEED Platinum as well as an Earth Advantage Platinum project. Rupp Family Builders is a well-respected and established name in custom homes and remodeling in the Portland, Oregon metro area. In 2016, the Bend office of the company was opened, spearheaded by Central Oregon native Caleb Hargrove. Caleb's varied experience in custom construction, carpentry, cabinetry, and deep remodeling compliments Rupp Family's uncompromising commitment to quality, craftsmanship, and professional integrity. As a full-service design/build firm, we have the knowledge and problem solving ability to oversee your next project, from custom design carpentry to accessory building construction, to full-custom design and build of your dream home. We're excited to talk about your next project! We see space as a transformative opportunity. A thing which can direct an experience. We craft materials to engage people as their awareness to the designed space tells it’s story. Whether a commercial space, a retail environment, a restaurant or residence we provide a unique approach to creative solutions. Design-build firms take on the responsibilities of architects, contractors and construction companies, all under one roof. These full-service firms focus on a streamlined design-build process — from the initial design to the estimating phase to physical construction — in the hope of creating an efficient experience for both the client and the company. 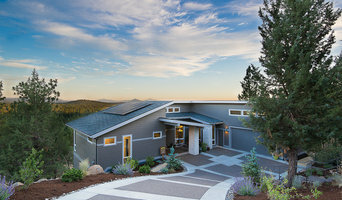 Because the entire project is happening within one company, Black Butte Ranch design-build firms are able to overlap the design and construction phases of the project, which often speeds up the project significantly. In addition, these firms work to minimize risks for the project owner through single-point responsibility contracts. However, depending on the firm, you may still want to contact an interior designer or architect to help create the exact look you want. Here are some related professionals and vendors to complement the work of design-build firms: Interior Designers & Decorators, Landscape Architects & Landscape Designers, Architects & Building Designers, Photographers. Before deciding on a residential design-and-build company in Black Butte Ranch, OR, think about what you want from your new home. Do you want a large kitchen for entertaining? Do you need several bedrooms for children and guests? Do you want a finished basement for extra space or storage? Look for Black Butte Ranch design-builders that specialize in the areas you're looking for. Budget is obviously a determining factor in the outcome of your project. To make sure you stay within your means, consider making a must-have list and a wish list. Gauge where the estimates are falling to determine which design-build contract can realistically strike the balance between the two. Find a Black Butte Ranch design-build company on Houzz. Narrow your search in the Professionals section of the website to design-build firms in Black Butte Ranch, OR. You may also look through Black Butte Ranch, OR photos to find a pool you like, then contact the design-build firm that created it.